Started with us in 2012. Dr. Alfonse’s Care Philosophy: Our family cares for your family. Started with us in 1993. Dr. Duclos' Care Philosophy: I have the best job in the world. I work with a group of people that truly care for others. I see compassion everyday. I see so many dedicated to improving the quality of life for others. I am honored to be a part of the lives of my patients, to improve the quality of health, and along the way, to share in the laughter and tears of life. Started with us in 2011. Dr. Henderson Enjoys This Most About Working Here: The diverse population. Started with us in 2018. Dr. Ralston’s Care Philosophy: I love partnering with patients to achieve your ideal health. Our goal together will be to maintain your best health so you can focus your time and energy on enjoying life and achieving your goals. Started with us in 2010. Dr. Buhr Enjoys This Most About Working Here: I enjoy working with many different patients of all ages. Every day is different! Started with us in 1979. Other Training: Practical experience through 39 years of service at Peoples Clinic. Dr. Pathan’s Care Philosophy: Happy to serve the underserved community with respect and joy. Started with us in 2005. Carrie Enjoys This Most About Working Here: I believe in the Mission of the clinic and love the diversity. Started with us in 2017. Michael’s Care Philosophy: Peoples Community Health Clinic is a family of diverse providers wanting to care for the diverse families of Waterloo, Iowa. It doesn’t matter who you are, you can receive holistic care at PCHC. Started with us in 2015. Courtney Enjoys This Most About Working Here: I enjoy the variety of patients I see, from babies to elderly patients, and being able to provide comprehensive care that is affordable as well as accessible. Started with us in 2014. Sarah’s Care Philosophy: I believe that EVERYONE, regardless of ethnicity, gender, religion, etc. deserves access to health care. Health care is a right. Melody’s Care Philosophy: I enjoy the diverse patient population I serve. Ashley Enjoys This Most About Working Here: I believe in the Mission of the clinic. My job is to help patients improve their health and encourage them to take ownership and follow a healthy lifestyle. Started with us in 2007. Heidi Enjoys This Most About Working Here: I enjoy providing comprehensive, personal care to a diverse population. Started with us in 2013. Melissa’s Care Philosophy: Everyone I work with deserves the same care, respect, dignity, and time no matter what their circumstances. Dr. Bowen Enjoys This Most About Working Here: Being a pediatrician gives me the opportunity to support parents in their choices to raise happy, healthy children. The diversity of our population and opportunity to provide the best care available to ALL kids is the quality of Peoples Community Health Clinic I value most. And, little people hugs melt my heart! Started with us in 2010. Has been with us over the years at different times since 1998. Dr. Fedge Enjoys This Most About Working Here: I believe Peoples Community Health Clinic is one of the best kept secrets in the nation. I have worked in four states and many clinics and I have yet to find a more competent and committed group of staff, nurses, providers, and doctors. Dr. Neumann Enjoys This Most About Working Here: I love the support we can give patients, depending on their needs and interests – interpreters, nutrition, counseling, financial assistance, etc. Dr. Reed’s Care Philosophy: I am a caring pediatrician who is passionate about the health and well-being of children. I find joy in explaining health concerns to patients and their families so they understand and feel empowered. Dr. Uppala’s Care Philosophy: As a primary care pediatrician, it’s so joyful to see your kids grow into healthy young adult patients. Started with us in 1999. Kathy’s Care Philosophy: I love to love my patients. Started with us in 1992. Merry’s Care Philosophy: I believe all children have a right to developmentally appropriate health care and the right to be treated with respect, regardless of age, race, religion, or gender. I love the joy children bring to the world. I appreciate their wonder and curiosity. I enjoy working with families to help their child to become the individual they were meant to be. Dawn’s Care Philosophy: My goal is to facilitate positive change in the lives of individuals. I love working for Peoples Community Health Clinic because they truly care about helping our patients. Dr. Eilertson’s Care Philosophy: I strive to provide quality, compassionate care to all patients. We also offer a wide range of dental procedures which lets me practice to the full potential of my training. 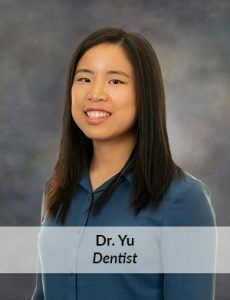 Dr. Yu's Care Philosophy: My goal is to assist you in becoming your healthiest self by helping you improve and maintain your oral health. What I enjoy most about working at Peoples Clinic is that we can provide quality, comprehensive care for all people—allowing everyone the opportunity to make choices that allow them to live healthy lives, regardless of income, race, country of origin, religion, etc. Started with us in 2009. Samira Enjoys This Most About Working Here: I like working at Peoples Community Health Clinic, where a lot of effort is put into removing barriers to health care. As part of the dental team, this helps me provide better care for our patients. I always try my best to help patients feel welcomed and comfortable when they come here for dental care. Started with us in 2008. 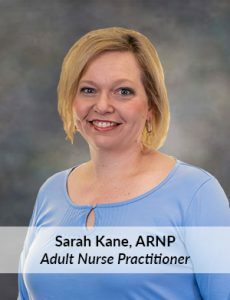 Kirstin Enjoys This Most About Working Here: Peoples Community Health Clinic has a passion for serving the community that is evident in every service we provide. Our dental clinic provides quality dental care with compassion and understanding. I am proud to be a part of such a wonderful place! *Provides care at both our Waterloo and Clarksville locations. **Provides care at our Clarksville location.